It's Facebook Fridays! for July 10, 2015 and we want to help you make pacts and conclude destructive spells! 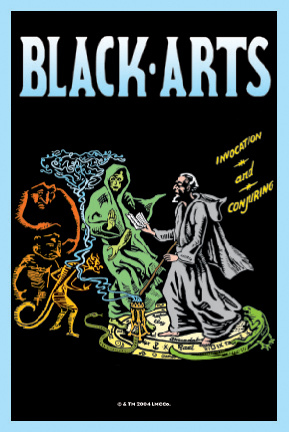 The Lucky Mojo Curio Co. is hosting a random drawing to give away 5 dark, aggressive Black Arts Spiritual Supply prizes. This week the prizes are 2 Black Arts ritual packs, including a dressed and blessed Black Arts Vigil Candle, a bottle of Black Arts Dressing Oil, and a packet of Black Arts Bath Crystals. 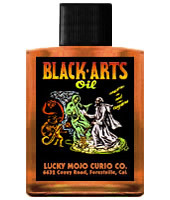 3 more lucky winners will get a bottle of Black Arts Dressing Oil. First thing tomorrow morning, we will select FIVE winners at random, announce their names here, and ask them to message this Facebook Page with their mailing addresses, so we can send them their FREE Black Arts products. We have a winner! In fact, we have 5 lucky winners! Our Facebook Fridays! winners for July 10, 2015 are: Catamara Rosarium, Valerie Rankin, Marta Correll, Aaron Deweese, and Christina Ozelis.